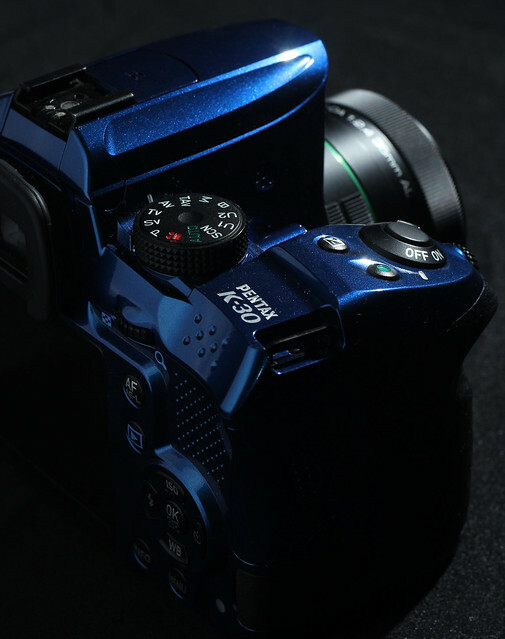 The Pentax K-30 may look like a toy but make no mistake, this is a camera that’s totally capable for professional use. I was pleasantly surprised with how the K-30 handled. Ergonomically it’s comfortable to hold, with the button layout being simple and in some ways remind me of Canon entry level cameras. Despite the shiny look of the unit that’s with me, it feels A LOT more solid than many other cameras I held. Canon and Nikon entry level cameras don’t give this kind of robust feel, and it’s weather sealed too. I won’t go into details because this is not a feature by feature report. No, I’m just highlighting what interests me. 1. I’ve been shooting with a Canon system exclusively so Pentax was new to me. 3. I had no Pentax flash system, so I ended using my Canon flash system for the photo session. 4. The photos had to be GOOD – this means the composition and technical matters must be up to professional standards and recognized as photos with commercial value. For this purpose, I’ll be using ShutterStock as judge. A neutral party that has seen countless still-life / food photos, and has very high requirements when it comes to the photos submitted. Despite being unfamiliar with the Pentax system, any seasoned photographer would get used to it after a short while of messing around with it. Throughout the weeks I had the K-30 with me, I’ve attended various events and took both videos and photos with it. For example, the photos and videos in this Acer event was captured using the K-30 and the 17-70 lens, paired with the Canon 580EX II! No E-TTL so I just had to use Manual flash. No problem. When it comes to the food photography assignment, the camera performed as it should. Admittedly I didn’t use the 35mm until the day of the assignment. A challenge but not a big one, just a bit of adjustments here and there to get the intended framing and it’s good to go. The greater challenge was the lack of a flash system. So I resorted to run long shutter speed and manually triggered my flash units. 🙂 I used 3 flash units. A Canon 580EX II and 2 units of Canon 430EX II. Flash power on manual. Flash triggered by using Yongnuo ST-E2 – a replica of Canon’s ST-E2. On a side note – the Yongnuo ST-E2 has been in my possession for ages but I’ve only used it a few times, and never on a professional assignment. I used 1 second shutter speed, f/8 and ISO 100 for most of the photos. I had to stop down to f/11 for pizza photos as the oily surface reflected the light a lot. For every photo, I used a timer and I had to keep my ear out for the sound of the opening shutter. From the sound of the “chikkk”, there’s a 1 second frame for me to trigger the flash. There were 4 dishes to photograph on that day, so we spent a good hour or 2 at this Italian restaurant called Casa Del Cocco at Taman Desa. 🙂 Many thanks to my friend Calven Lim who runs this restaurant. I think the greatest challenge of all, is to select the best photos for Shutterstock submission because there were just so many photos to choose from! The output was great, most of it I could just use it directly. The output was superb, it felt like I’ve never seen so much details retained in an image capture on APS-C sensor. I also liked that Pentax uses DNG files for RAW, so I can open these RAW files on my aged Adobe Camera RAW on CS3! In the end I selected 12 photos as seen in this gallery at Shutterstock. The photos underwent necessary processing to maximize the chances of approval. 12 photos submitted, 12 photos approved! That’s a personal best for me! Sure, I’ve got 100% approval rate for less than 5 photos but never for batches that are more than 10. 🙂 Not bad, considering I achieved this using a camera I’ve only been using for 2 weeks, and a lens that I’m using for the first time. I must highlight that Pentax’s Focus Peaking and the clear LCD screen helped a lot when it comes to nailing the area of focus. My photos could have suffered the “Your image is not in focus or focus is not located where we feel it works best.” reason of rejection. Video wise it’s alright, thought it felt like the audio recording on my 60D was a lot better. Notice that there’s some rolling shutter or donno what effect at 4:22 range. Area was in focus but it just wobbles in some way. Don’t know if the bass actually did affect the sensor. The video seems to lack in detail compared to my Canon EOS 60D. I examined the file size of the K-30’s Full HD (1080p) video and it seems that it’s only recording at around. 170Mb per minute. This is confirmed by another video that went 5min 21sec for 863Mb, that’s about 160Mb per minute. Compared to the Full HD video from my 60D where 3min 41 sec reaches 1.16gb, that’s about 314Mb per minute. The battery life indicator fluctuation annoys be. It’s the first time I see a camera’s batter goes into RED, then goes back to YELLOW. I understand that the indicator probably changes based on the current consumption but it just makes it difficult for me to estimate the battery life so I ended up I going into conservative mode. I also felt that the AF point change not friendly. Sure, hold down OK button for 1 sec to change AF point works, but it only works in Option #3 (area selection) while single AF point selection, it doesn’t. On the plus side, the HDR feature seems fun to play. Below are the HDR images taken with the settings at LOW, MEDIUM and HIGH. The HDR works (to a certain extent) even on subjects with movement, in this case – leaves that are moving as the morning breeze flows across it. This camera is FEATURE RICH! That’s the word for it. Just look at the prices at B&H for example, it’s only 724.95 USD (with 100 USD discount until end of the year) for the body alone, and while the 18-55 Kit set is priced at $846.95 USD. Price varies but it shouldn’t stray that far from the converted rate. 🙂 If you’re looking for a good camera for your last-minute ChHristmas gift for yourself – this should be part of your shopping list. © 2007 - 2019 goldfries.com | Powered by WordPress | Theme by goldfries | 71 queries in 0.270 seconds.